Welcome to Plumber Monkstown, whether it’s burst pipes, leaking radiators or blocked drains we can help. We have the solutions to all your plumbing problems. We are on call 24/7-365 covering all plumbing services and plumbing emergencies in Monkstown and the surrounding area. One of our team of fully qualified R.G.I. registered Monkstown plumbers can be at your door within an hour.We never leave you stranded if you have a plumbing emergency. We have built their reputation on customer satisfaction. We have expert domestic and commercial plumbing knowledge. This comes from over 30 years of trading in the area. Some of our senior staff are still with us and their vast experience is invaluable. Our repeat customers know that as soon as we take on a job, we will finish it to the highest standards. Our clients will always sleep well as know they will be completely satisfied with our high quality workmanship. The team at Plumber Monkstown are fully insured with public and professional indemnity insurance and we fully guarantee all of our work. You will always find our plumbers to be reliable and 100% focused on their work. We provide a full range of services at Plumber Monkstown. · R.G.I. accredited Gas boiler servicing. · All gas appliances installed this includes hobs, fires and ovens. · Oil and gas boilers repaired and replaced. · External & underground drain pipes. · 24 hour call out from emergency plumbers Monkstown. · Repairing burst and leaking pipes. · Repairs to leaking or cold radiators. · Central heating system repairs. · Unblocking drains using Jet flushing, drain rods and plumbers snakes. We also unblock sinks and toilets. · Installing and repairing new baths, showers, toilets, bidets, wet rooms, taps and complete bathroom renovations including tiling and floor laying. Our plumbers in Monkstown do not charge for call outs and offer free, professional unbiased advice. We are happy to visit your property at a time that suits and offer a no obligation quote. We don’t have hidden fees or charges. We do not charge traveling time or parking fees. Our vans are always fully stocked so as there is rarely a need to be “sourcing parts”. 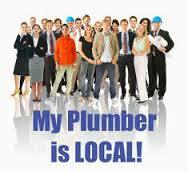 If you live in the Monkstown area call your local Monkstown Plumber today on 01-2844921.